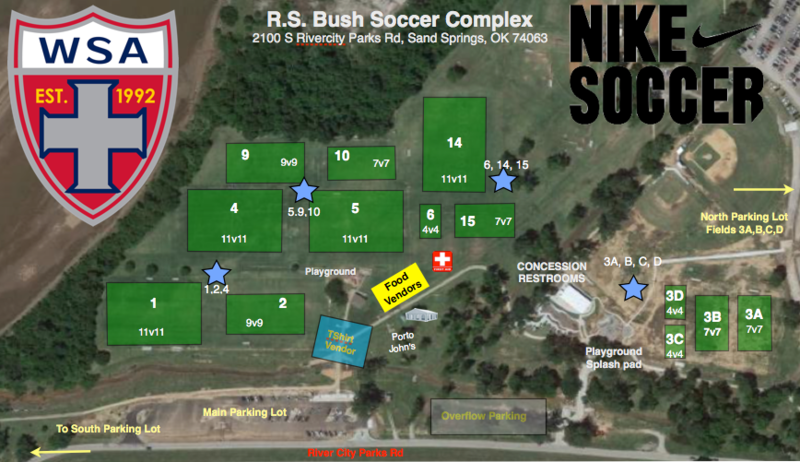 Games at the 2019 WSA Cup will be played at Rivercity Parks Complex (aka Case Community Park) in Sand Springs and Titan Sports Complex South in Jenks. The two facilities are located approximately 15 miles/20 minutes apart via two highways (14 miles of highway). Please budget 30 minutes from departure time to parking lot time for travel between the two facilities.